The Chromecast is not an expensive device, and it's even cheaper when you consider all the free stuff Google has given out to owners since it was released. 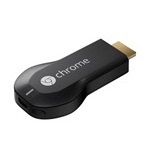 In fact, the Chromecast has probably paid for itself and then some. 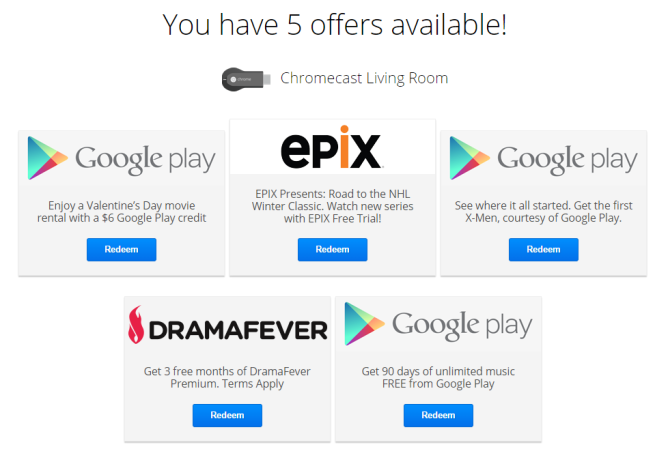 Right now you can get a $6 Google Play credit if you have a Chromecast on your network, and you can do it multiple times if you have more than one. To redeem the credit, simply head over to the Chromecast offers page and let it search the network for your device. On the phone you check through the Chromecast app. Most people see five offers, one of which is the $6 credit. That's the one you want, obviously. The others are mostly trials of various services (see above). If you have more than one Chromecast, refresh the page and do it again. 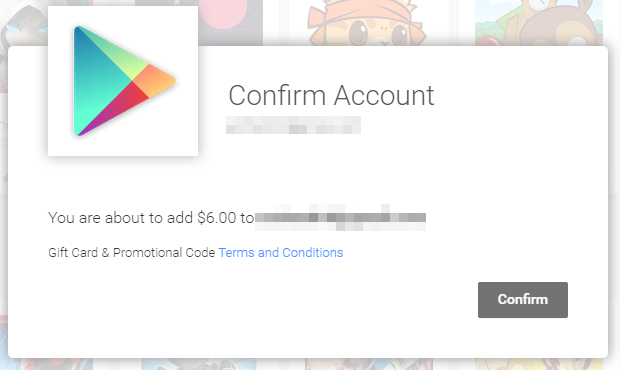 This is general Google Play money, not just a movie credit. It says, "Enjoy a Valentine’s Day movie rental," but all Google Play dollars are created equal.